Halloween is just the start of the holiday trifecta. Then comes Thanksgiving and Christmas. 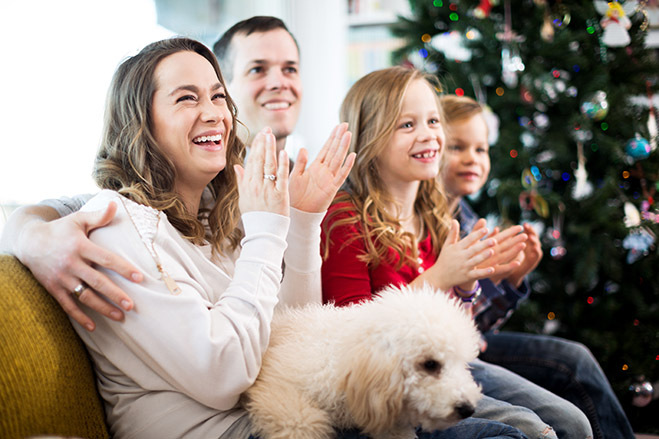 To help you deal with the stress of getting ready for back to back holidays, here are seven tips that can help you enjoy the holiday season even more. Plus links to over 60 more ideas to keep the joy in the holiday season. The world loves Gummy Chews. They come in all shapes and sizes and are a top treat. 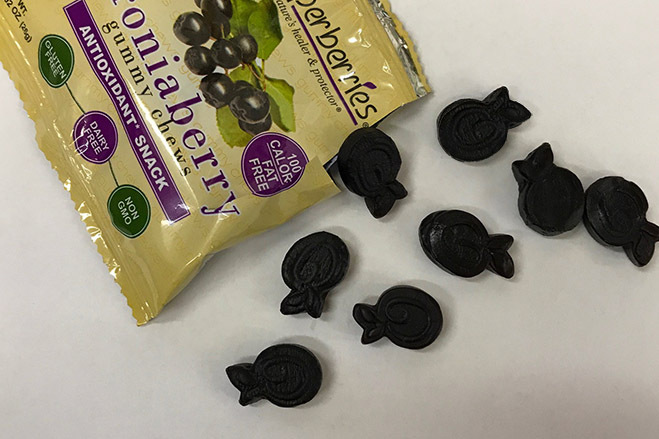 Superberries has our own Gummy Chews. 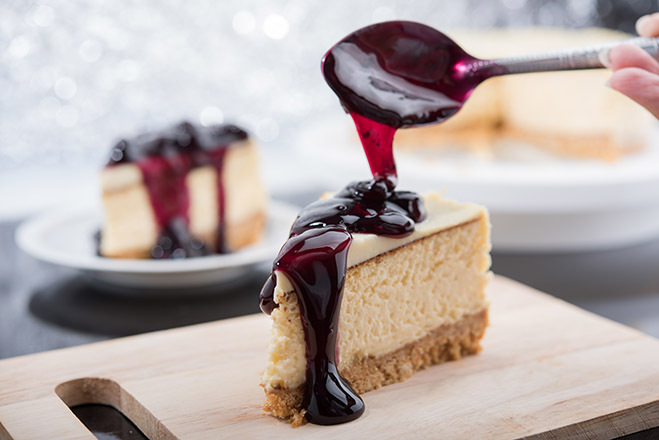 It is shaped like a berry and made from organic Aroniaberries, sweeteners and natural colors. Here are a few fun facts about gummy chews and how they came to be one of our favorite treats. Superberries Aroniaberries add a berry-licious flavor to this fruity take on Tacos. 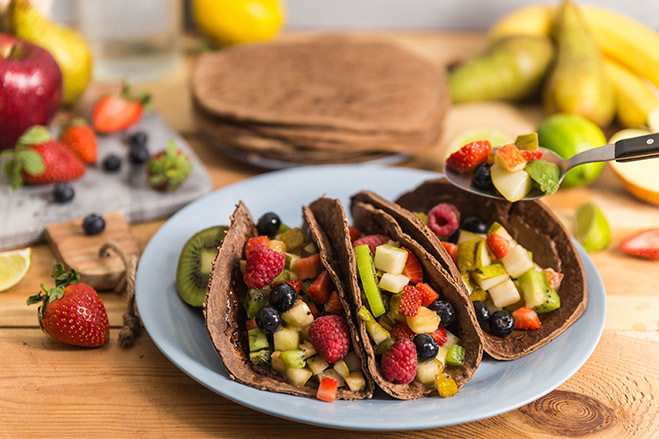 These chocolate fruit tacos make a wonderful breakfast, lunch or dinner dessert. Get creative and make some variations. Place tortillas in a muffin tin and bake versus cook in a cast iron pan to create a fruit bowl. Or make a dessert taco bar with various fruits and toppings.